Sometimes it's nice to be a bit subtle... but not too subtle! 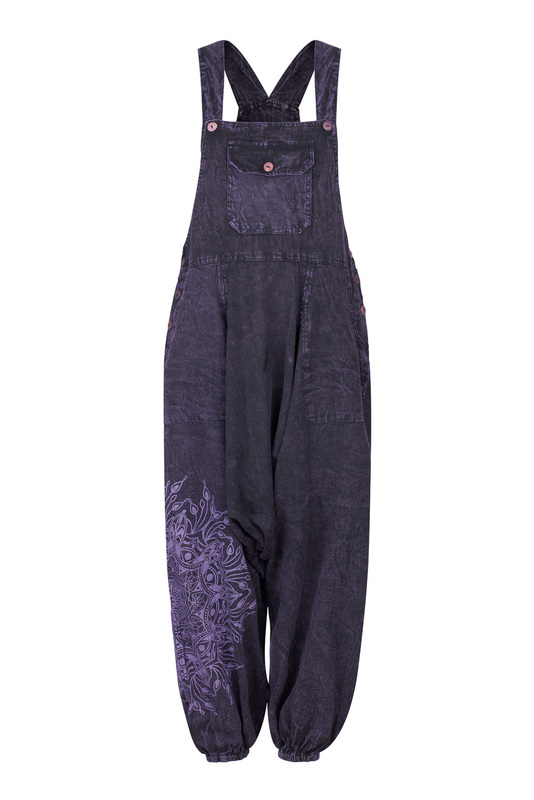 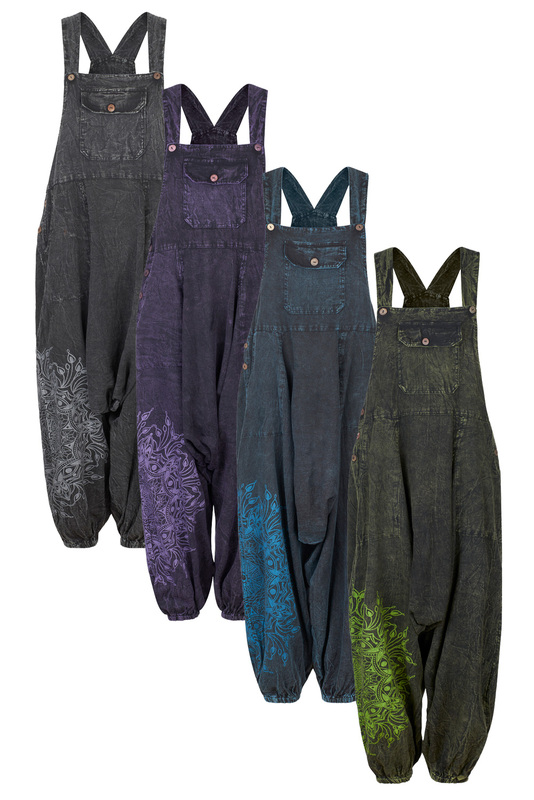 These gorgeous unisex mandala print dungarees come in a range of cool, deep, quiet shades, but the design is about as far from subtle as it gets. The lovely swirly mandala print on the right leg adds drama. They're made from fabulously comfortable non stretchy stonewash cotton and the shoulder straps adjust for a good fit. 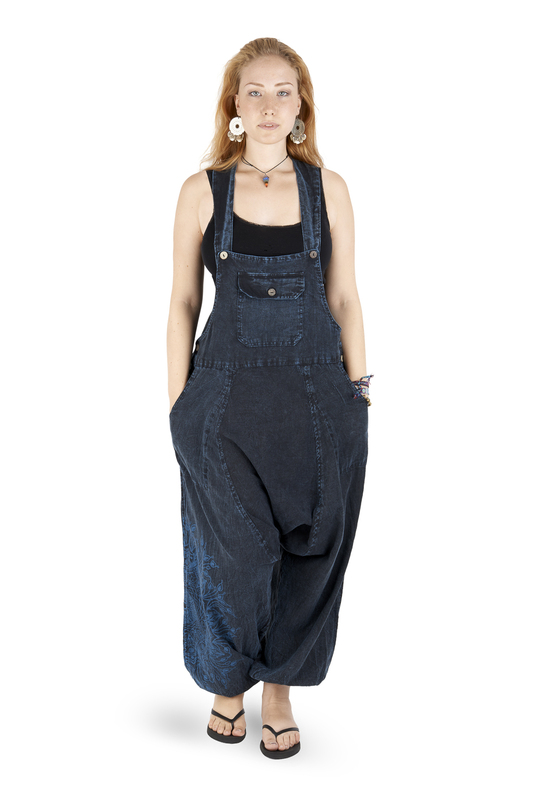 There are lots of pockets – two deep ones at the waist, one at the front and one at the back. 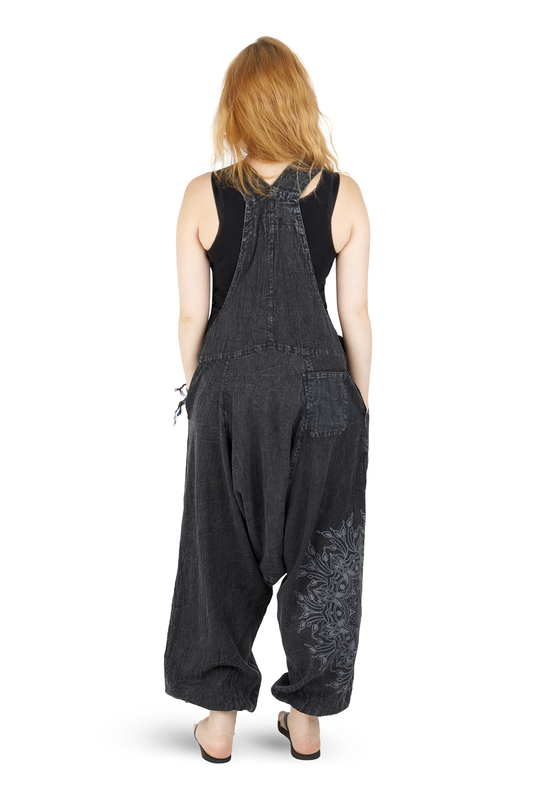 The sides button up and the funky extra-wide fit is really stylish.